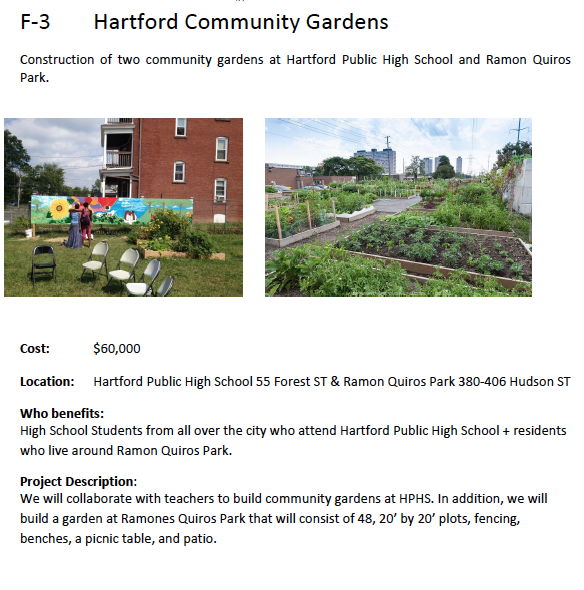 In Year One of Hartford Decide$ (July 2015 through April 2016), Hartford residents decided how to spend $1,250,000 in City Capital Improvement funds, allocated by the Hartford Court of Common Council. Project ideas were formed through a series of community brainstorming meetings and on-line engagements. Volunteers participated in Action Teams, with help from City Staff, to determine which ideas would be developed into project proposals. The final project proposals were placed on the ballot for voting by Hartford residents in March of 2016. The Hartford Decide$ process involved a series of meetings, volunteer work, and decisions that fed into the City's annual budget cycle. 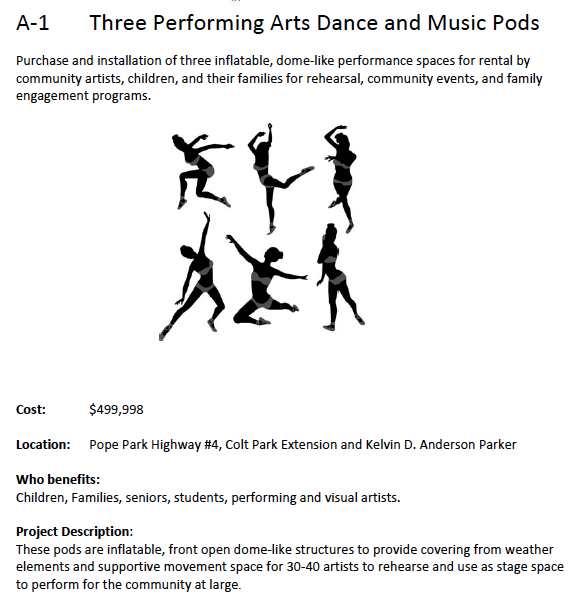 Project decisions were included in the Mayor's "Recommended Capital Budget for Fiscal Year 2016-17." Hartford Decide$ voters were asked to complete an anonymous survey form which included demographic questions. A total of 504 residents completed surveys. Results are shown on the enclosed sheet, along with voting locations. The voting was the culmination of the year-long Hartford Decide$ process which began in March of 2015 with the creation of a partnership of Hartford 2000, Hartford Public Library, City of Hartford, Leadership Greater Hartford, and MetroHartford Alliance. 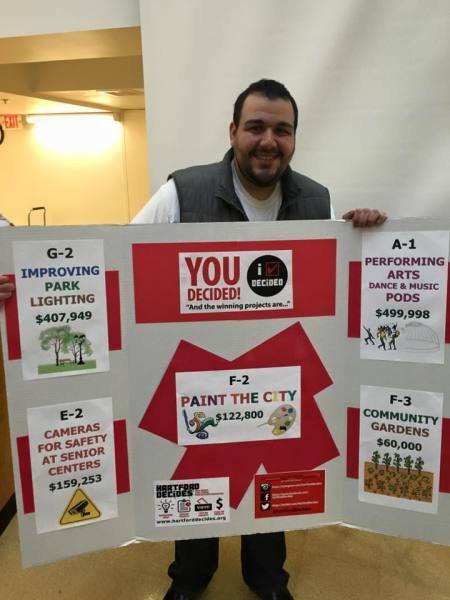 The partnership worked with Participatory Budgeting, Inc. to bring the concept of participatory budgeting to Hartford. 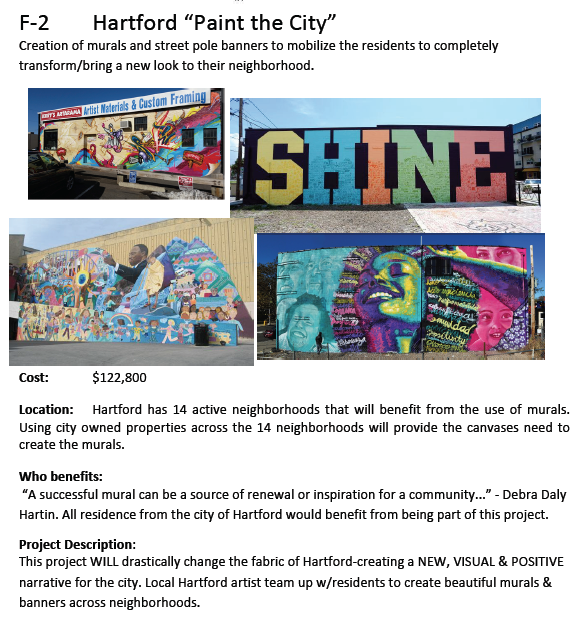 Informational sessions were held in the spring and the City of Hartford set aside $1,250,000 in its Capital Budget for implementation of Hartford Decide$ projects. 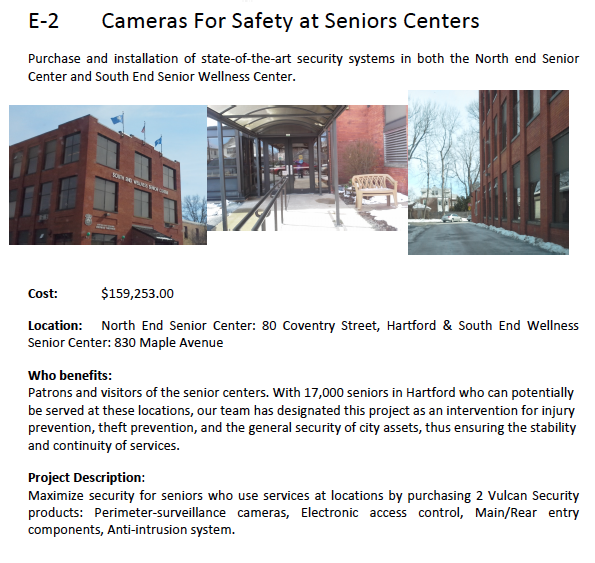 Three Community Meetings were held in November and December at which 225 participants discussed Hartford’s assets, issues, and problems and brainstormed ideas for projects to address the issues and problems. (The list of ideas generated in community meetings and on-line are enclosed.) 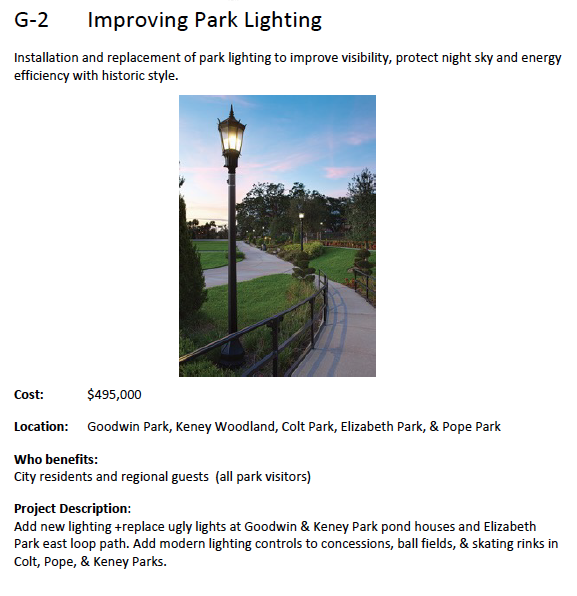 Approximately 40 residents then volunteered to turn ideas into project proposals. Ten Action Teams were formed and, assisted by facilitators and City staff, they created the 22 project proposals which were placed on the ballot.